That doesn’t mean you can’t have a bit of garden to enjoy there, too. 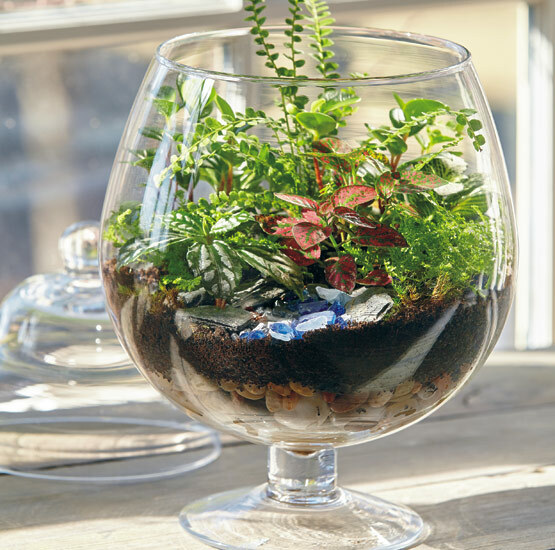 All it takes is a few hours to build a terrarium and you’ll have plants to enjoy year round. 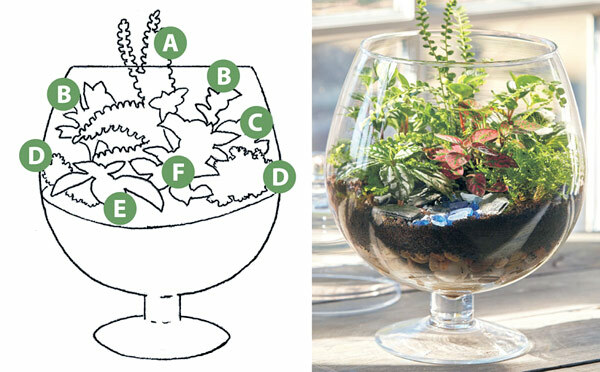 We’ll walk through how to choose the right materials and how to care for your terrarium. Scroll to the bottom for the materials list, and be sure to click through the slideshow for detailed, step-by-step instructions with photos! Let’s get started. 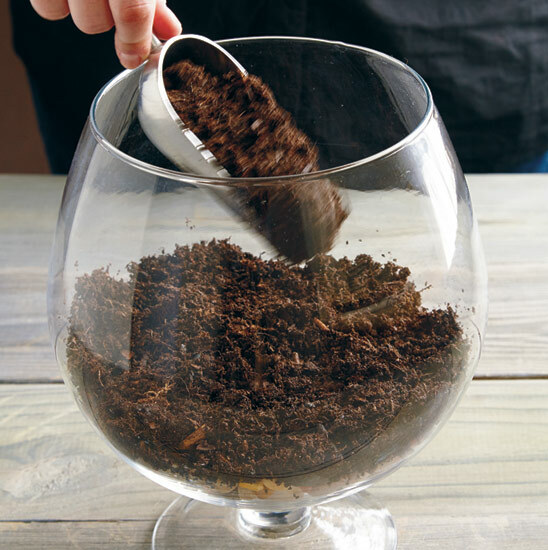 You can use any type of clear glass container for a terrarium, but remember that the bigger it is, the more soil there will be and the less you’ll have to water. Also, a larger mouth makes it easier to get things inside — the opening for this one is a little more than 6 in. There’s a lid for this container, which helps regulate moisture, but it’s not absolutely necessary. There are lots of terrarium plants to choose from. Just make sure they all have the same light and moisture requirements. You can showcase a single specimen or group several together. 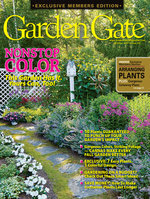 Look for a mix of foliage shapes and colors and different growth habits to keep it interesting. In this one I combined a fern for height, a couple variegated plants and some red and chartreuse for a pop of color. Most terrarium plants do well with the indirect light of a north-facing window. Direct summer sun, especially with the lid on, will overheat the container and plants will die. You shouldn’t have to water very often, especially if you put the lid on at night. Do a quick check with your finger and if it’s dry, water. These miniature gardens don’t last forever. 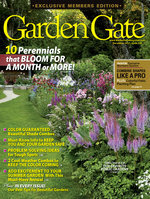 You’ll need to refresh your planting eventually so you can continue to enjoy it all year. Decorative stones, moss, beach glass, etc. 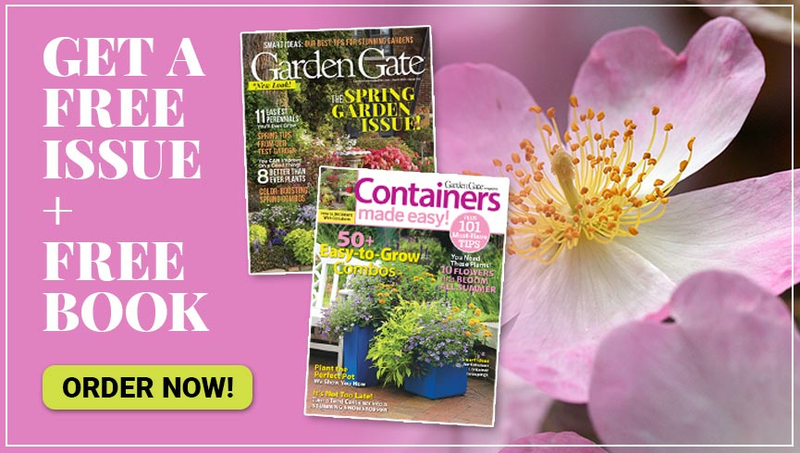 Fill the bottom of the container with a couple of inches of gravel to help drainage. Cut a piece of landscape fabric to size — this keeps the potting mix from working its way down into the gravel. Add 2 to 3 in. 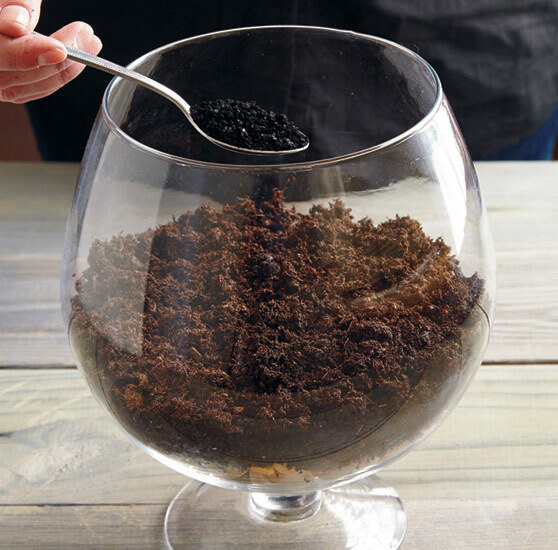 of premoistened soilless potting mix to your terrarium. I used an organic type that didn’t have the white specks of vermiculite or perlite that would show through the glass. Stir in a tablespoon of activated carbon. This will keep it from smelling bad. You can find it where they sell aquarium supplies. A product labeled “charcoal” works fine, too. Cut off any broken or damaged leaves or stems. 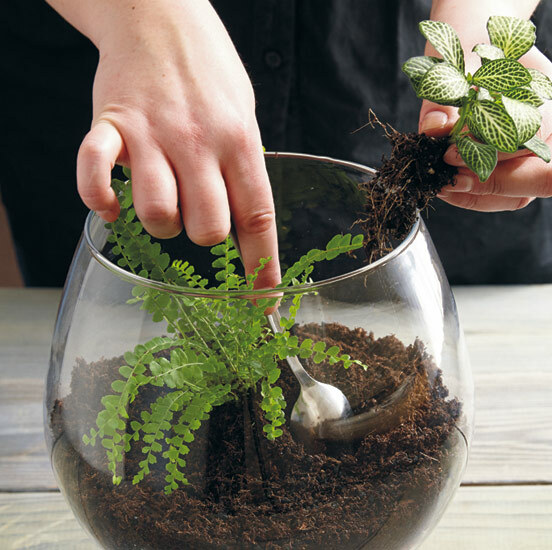 Then tip the plant out of its container and loosen the roots. Using a spoon, make a hole, position the plant and cover the roots with potting mix. Add decorative pieces. 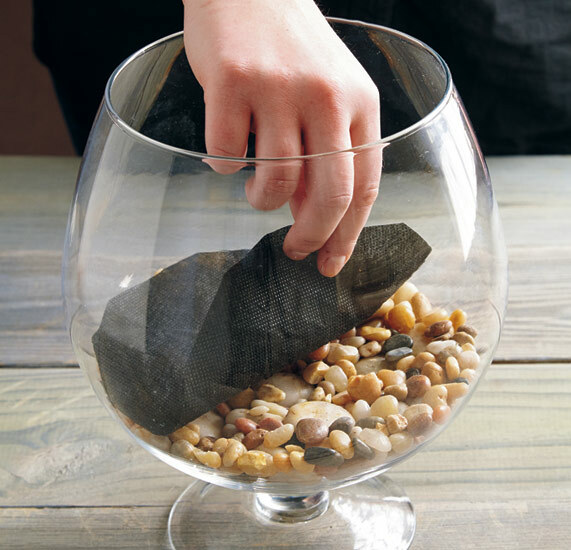 Place the stones, rock or glass and any ornaments to create a mini landscape. 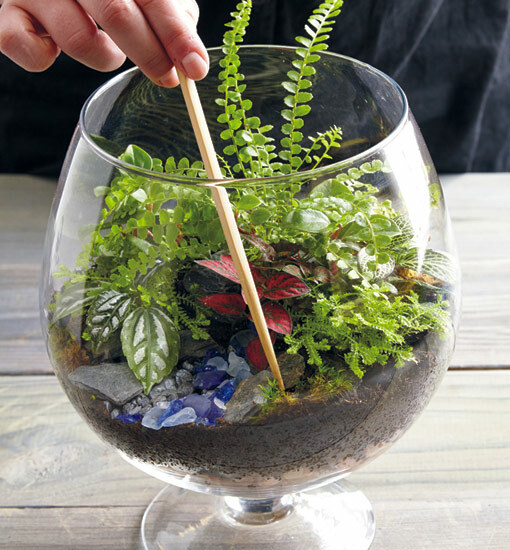 Use a chopstick to position decorative pieces so you don’t break plant stems with your hands.